November 11, The Iran Project – Widespread reactions to the new round of US sanctions, re-imposed on Iran, are underway both home and abroad condemning Trump’s anti-Iran bans. The bans – the second of their kind since Washington’s walkout from the Iran nuclear deal on May 8 – sparking criticisms from the United Nations as well as US allies in the European Union. The previous sanctions on Iran, imposed by Trump’s predecessor Barack Obama, were supported by the UN Security Council and the European Union. However, this time the US is alone, and the entire world, except for a few countries such as Israel and Saudi Arabia, have vowed to continue trade with Iran. Currently a broadly united front of world powers that imposed sanctions on Iran previously, pushing Iran into nuclear restraint, has unraveled since Donald Trump came into power and clashed with allies over everything from business to collective security. On Friday (No. 2), US president decided to trumpet fresh sanctions against the Islamic Republic not with a speech, but a Twitter meme in reference to Game of Thrones, “Sanctions are coming.” The Trump’s Iran tweet followed up by an official announcement on Monday (Nov. 5) notifying re-imposition of the “toughest” sanctions ever against the country targeting Iran’s oil, banking and transportation sectors. The Islamic Republic called the new bans “economic warfare” and vowed to defy. Frustrated with the world rejection to side with Washington in hostility against Iran, the US National Security Advisor John Bolton said that his country seeks heavy pressures against the Islamic Republic but it does not want its allies and friends who buy oil from Iran to be harmed with sanctions. Turkey will not abide by the United States’ sanctions on Iran, President Tayyip Erdogan said on Tuesday (Nov. 6), describing Washington’s move as aimed upsetting the global balance and against international law. During an interview with the Financial Times, French Economy Minister Bruno Le Maire claimed Europe won’t allow the US to become “trade policeman of the world” in a dramatic outburst as he argued Europe should defy President Trump over Iran sanctions. Mr Le Maire argued the US measures threaten the EU’s “economic sovereignty” and urged the bloc to “affirm our independence”. Trump repeatedly threatened punitive action against any European companies which ignore these sanctions and continue doing business with Iran. “One of the key measures from our side was the blocking statute, which was updated in August,” Kocijancic told reporters in Brussels. “This is one of the measures that have been put in place, but it’s the one that’s very relevant for companies because from our point of view, trade with Iran remains legitimate,” she noted. Iranian celebrities including Oscar-winning film director Asghar Farhadi and Grammy winner Kayhan Kalhor have launched a petition condemning US sanctions on Tehran. 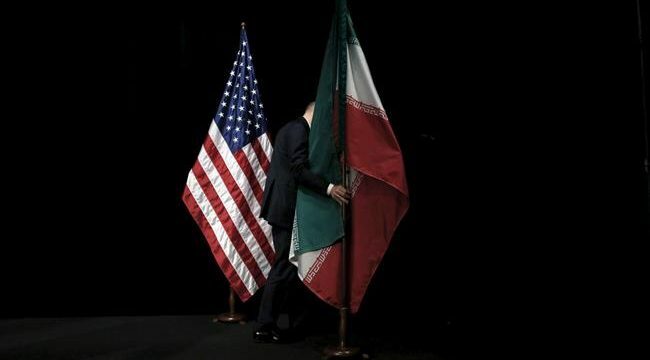 “Once again, the US has imposed sanctions against Iran… Every Iranian will personally pay the price,” reads the petition, named “Voices Against Sanctions” and posted on change.org. “Politicians will come and go, but the fallout from their disastrous decisions will be a nightmare for generations to come,” said the petition, which had picked up nearly 5,000 signatures by Friday. Iranian President Hassan Rouhani said that US sanctions announced last week have had no effect on Iran’s economy because Washington had already practically reimposed them earlier. He rejected Washington’s claim that it is not after putting pressure on the Iranian nation, but rather on the Iranian government and the Islamic establishment. The new US sanctions come while IAEA repeatedly confirmed Iran’s compliance with the JCPOA. In a statement published on IAEA official website, IAEA Director General Yukiya Amano presented a report about the latest developments in IAEA’s activities and said Iran is implementing its nuclear-related commitments under the Joint Comprehensive Plan of Action (JCPOA).